Welcome to Quo’s Holiday Idea Center! To get you started, we’ve collected some special ideas with holiday-related themes. These ideas are proven winners and range in participation size, effort and cost to get started. Below you’ll find a list of ideas, complete with step-by-step instructions and a list of materials you’ll need to support the effort. Not every idea is a good fit for every student, but find the one you like best and give it a try. If you’re not sold once you get going, just pick another. The important thing is to keep going until you find what works for you! Because these ideas are all holiday-themed, time is of the essence. Don’t hesitate! And keep checking back for fresh new ideas and let us know how you’re progressing. We want you to succeed in your efforts to raise funds for your student travel adventure! 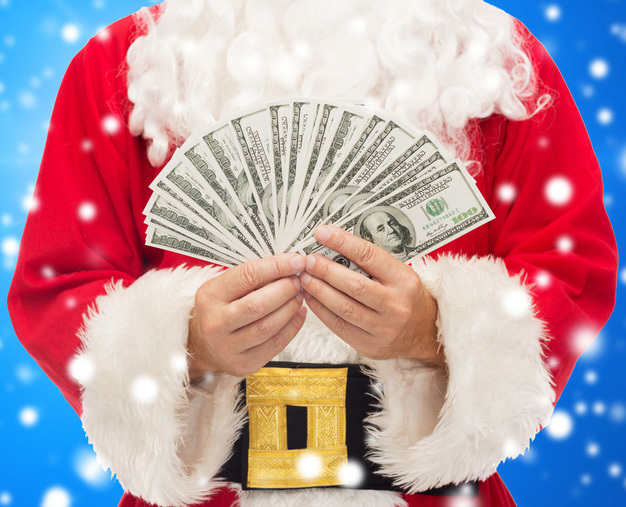 Why not give old Saint Nick a hand, and earn some money toward travel at the same time? Kids love to receive letters from Santa, but goodness knows he doesn’t have time to correspond with everyone. It takes a lot of cooperation – from “Friends of Santa” all around the world – to keep the North Pole running on time. Put the word out to your family and friends, as well as all of their coworkers and friends, that you’ll be “standing in for Santa” in the Letter Department this year. Let them know that you’ll be writing encouraging, personalized letters to children on behalf of Santa himself. Parents & family members can send you names and important details – these letters should address children’s wishes, successes in the year and any big upcoming events. It’s a good idea to use email to advertise with an e-flier. Make sure the flier can easily be forwarded to interested people. The flier should explain who you are and what you are doing. Remember to tell people why you are raising funds and let them know what an amazing program you will be participating in. Let them know how much your total travel program will cost, and be sure to include a suggested donation amount for your letter-writing service. Include your contact information and the final date when families can order letters. Attach sample copies of the letters that you will be using. Also attach an order form where your customers can tell you the names, ages, and wishes of their children, highlight achievements and identify big upcoming events. Naturally, you’ll have to get their mailing addresses, too. Collect your order information using an Excel spreadsheet. Each time you send a letter from Santa, make sure to mark it as sent on your spreadsheet. With each checkmark, you’re one letter closer to your own Christmas wish—getting to travel the world! Last year, Kacie sent letters from Santa, asking for a minimum donation of $5. For authenticity, she asked a friend who lives in North Pole, Alaska, to mail them from their local post office. While the suggested donation was $5, many patrons donated more. By her cut-off date, Kacie had written 100 letters and raised $700. Get crafty this holiday and wrap up your summer travel! The holidays are busy, and people are shopping like mad! Provide handy and professional gift-wrapping services at a local store or mall, so shoppers can offload gift wrapping… and you can make a bundle. • Check with local stores or malls to see if they will allow you to set up a gift-wrapping station. Hint: Find a good location with lots of foot traffic and high visibility. See if the business can supply a table or other platform for wrapping gifts, or if you’ll need to provide one. Hint: Ask friends and family if they have any leftover wrapping paper from last year that they would like to donate to you. Think outside the box and offer an “eco-friendly” wrapping option using old newspaper or other recycled paper completed with natural products like twine. Make your station look professional and clean. Offer chairs for customers or other ways to make them comfortable. Add value to your service by offering discounts on multiple packages, or providing a “premium wrapping package.” Check Pinterest for great ways to get creative! Host a breakfast with the jolliest guy around—old Saint Nick! Want to make a big holiday splash while you make some big travel cash? In December, hold a big breakfast (or lunch/dinner if that works best) at a local community center or school. Charge for admission tickets and recruit friends and family to help you serve up a warm holiday breakfast. While Saint Nick is around, enlist his help for other activities such as photos and story time. If planned well, families will love the festive experience. Location—Scope out a free location to host your breakfast. Plan the menu—Decide what will be easy to cook/bake and be sure to account for food costs so you are able to make a profit. Hint: Pay attention to sales at your local stores as there are usually great deals around the holidays. Phone a friend—Enlist the help of friends and family to cook and serve food, collect money and serve guests, take photos, and help clean up. Advertise! Spread the word with personal invites around your neighborhood. Share your invite on social media sites such as Facebook, Instagram, and Twitter. Ask your parents to spread the word at work. Be sure any fliers or online posts include date, time, location, available activities, and an explanation of why you are raising money. Holiday cheer—Collect decorations to create a fun holiday ambiance. Hint: Decorations could put a dent in your budget, so opt to borrow decorations from friends or use what you already own. Get crafty and make paper snowflakes or other items that can be made at little to no cost. Mad art skills? Spread some holiday cheer! Businesses, communities and neighborhoods don’t become festive each year simply by holiday magic. It takes a lot of coordinated efforts by many talented people. This year is your year to pitch in and really shine! Approach some neighbors and businesses to see if they would like you to paint their windows for the holidays. 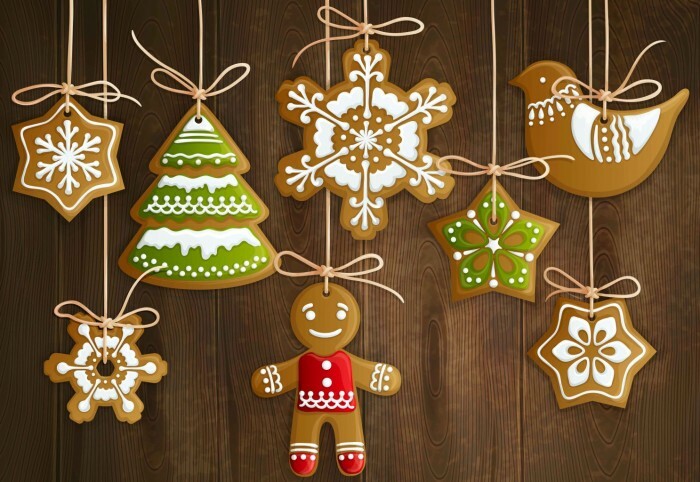 From messages about holiday sayings to full-blown artistic winter scenes, business owners, home owners and others can support your journey—as they dress up their homes or businesses at the same time. If you have artistic talent, you can earn some nice travel cash with window painting! Make a list of neighbors, friends, and local businesses to contact. Display your talent: Be sure you have samples or photos of something you’ve painted to show to potential customers. You might want to paint a few scenes on your own windows so you’ll know what you can offer others. Include an example in your advertising. Start advertising! Spread the word that you can paint holiday scenes (or something else) on windows. Talk to neighbors, family, and friends. Share a photo of your work on social media sites such as Facebook, Instagram, and Twitter. Let people know you why you are offering this service and how they can purchase it from you. Painting supplies: You’ll need supplies to paint windows. Tempera and acrylic paints are likely the easiest to clean up, but you’ll need to do some research! Don’t stock up too much until you know you have some customers. Save receipts to return what you don’t use! Hint: Pay attention to sales at your local stores and cut coupons to save money on the cost of painting supplies. If you have success with Christmas window painting—or if Christmas has already passed—see if you can follow it up with Valentine’s Day, St. Patrick’s Day or Easter windows. Maybe your community has a favorite sports team. Maybe there’s a big local event coming up and businesses will want to capitalize on the energy. Maybe your Uncle Jerry loves the Seahawks and would love to have his windows decked out for the Super Bowl. Be creative as you work to earn your way to travel! The spicy smell of the holidays is your key to the sweet smell of success! Everyone loves the smell of the Holiday season! These festive, decorative, sweet- & spicy-smelling ornaments make a great holiday activity and an even better fundraiser. Best of all, you can make these ornaments while babysitting or hanging out with friends and relatives, then sell them to raise money for your travel adventure! Packaging: Will you sell your ornaments individually? Consider packaging several ornaments together, in a cute way, at a special package price. Pricing: Individual vs. packages, plain vs. decorated, hooks vs. ribbons… and what about home delivery specials? Be sure to calculate your costs thoroughly so you’re sure to make a profit! Advertise! In person, these ornaments smell so good they sell themselves. But you should start by spreading the word on social media. Make them look good in pics for Facebook, Instagram, and Twitter, and be sure to tout the reason you’re selling. Reach out to neighbors, family, and friends. Ask your parents and their friends to spread the word at work. Be sure any fliers or online posts include important information such as the price of your ornaments, how to get them, and why you are raising money. Right-sized batches: You might start with a few samples, but after that it’s a good idea to collect orders before making more. But be sure to make some extra ornaments to sell after they’re made, in case customers and their friends want more. Recipes: On the right side of this page is one great recipe that has a particularly warm & holiday-friendly aroma. We’ve also embedded a video below for a simple recipe that works with just cinnamon & applesauce. Mix until a stiff dough forms. Roll dough to 1/4 inch thick. Cut with cookie cutters and make a hole for a ribbon. (Optional: push an ornament hook into the back of the dough while wet). Carefully place on a rack or flat surface to dry. Let dough air-dry for several days, turning occasionally. Hint: For quicker dry time, bake on a flat cookie sheet at 200 degrees for 2–3 hours, depending on thickness. (Don’t forget to turn them over occasionally). You can decorate your ornaments with glitter, glue, and even paint. Try adding a pipe cleaner or a ribbon to hang. A neighborhood service that will really help you clean up! Hauling off post-Christmas trees is a service many people will appreciate! It’s an easy way to make a couple of bucks—and make your neighbors happy, too. Set your price. Charge a set price per Christmas tree. Be sure to figure in gas prices and transportation so you can make a profit. Make a plan. As people call to sign up for your service, utilize a spread sheet to take down: the address, contact information and a pick-up date for each home you will be visiting. Map it out. Create an efficient work flow so you don’t waste time backtracking. Think it through. What will you do with the trees after you haul them away? Become informed about local options and costs. Hint: Ask a local nursery if you can use their wood chipper and then donate the wood chips to them in return for their services. Advertise early! Before Christmas, put up fliers in the neighborhood, at local shopping centers, the library, and anywhere else you can think of. Ask your local paper to run an advertisement for you, or an advertorial feature about your trip, this project and your fundraising goal. Spread the word on Facebook, Instagram and Twitter. Be sure your advertising includes contact information, available pick-up dates and an explanation about why you are working to earn these funds! A plan for disposing of the trees! Student Taylor B. earned $500 by going throughout the neighborhood one night a week with his dad, collecting, chipping, and recycling Christmas trees into wood chips. The local paper printed an article about Taylor’s trip and fundraiser to help advertise his cause, and the orders poured in! Join the conversation with #FundingQuoTravel and share your success stories, ideas & anything about earning your Quo Student Travel adventure!